The world has been given a peek at Boeing's plans for a new small twin-aisle aircraft, unofficially dubbed the 797. Boeing (BA) released the first image of its new "middle-market airplane" at the Paris Air Show on Tuesday as a teaser for what will be the company's first new airliner since its 787 Dreamliner. It's been nearly six years since the Dreamliner first went into service after a decade in development. And the new Boeing jet has become the most anticipated airplane in commercial aviation. Industry leaders have started calling it the 797, the next in the 60 year series that started with the Boeing 707. The jet will be tailored to offer relief to congested airports on routes such as New York to Los Angeles, but should also be efficient enough to serve medium-range flights connecting the U.S. to smaller European cities, for example. 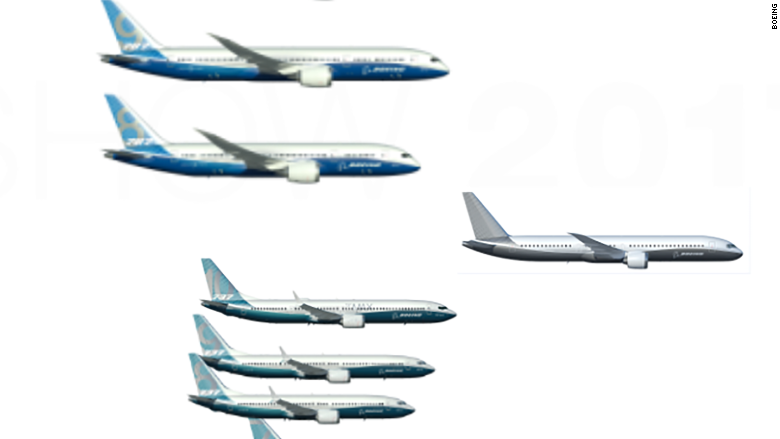 Boeing believes there could be a market for more than 4,000 such aircraft over 20 years starting around 2025 when the 797 would first fly with airlines. A new airliner is worth many hundreds of billions of dollars to the global economy. U.S. states will woo Boeing for new factories, and suppliers around the world will vie to build a part of the jet. Details are still few and far between, but Boeing has talked to 57 potential customers. One such airline, Indian low-cost operator SpiceJet, said it was very interested in the new jet to relieve airport congestion and open new routes from South Asia. "We have 1.3 billion people in our country, they need to travel to different parts of the world and they don't necessarily need to travel through the hubs that have been created by several airlines on both sides of our country," said SpiceJet CEO Ajay Singh. Boeing has started to make firm decisions about the jet's design. 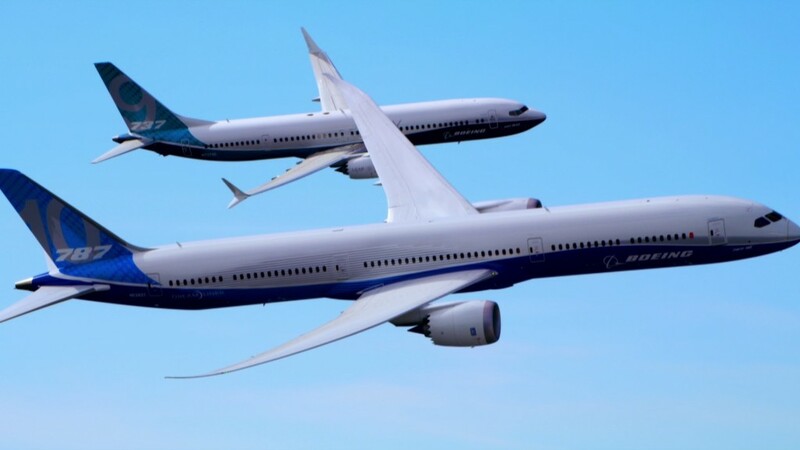 The wings and fuselage will be built primarily from carbon fiber composite material like the larger 787 Dreamliner, said Mike Delaney, Boeing's vice president of airplane development. Airbus, Boeing's big global rival, says it already has jets that can serve the market the 797 would target. Delaney challenged that claim, saying that one airline had estimated that Boeing's new airliner could cut flying costs by as much as 45% compared to Airbus' A330neo jet.